The CARACHILLO WHITE S.T. 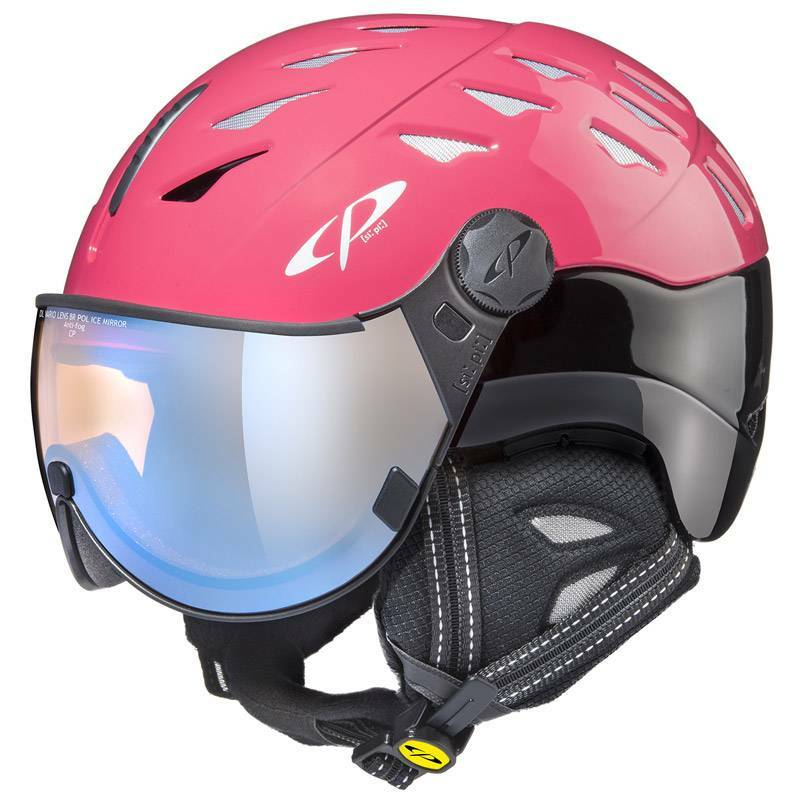 is the latest design from CP, maker of Visor ski helmets, this model has an improved visor shape that once again helps on performance and in a clean modern design. S.T. 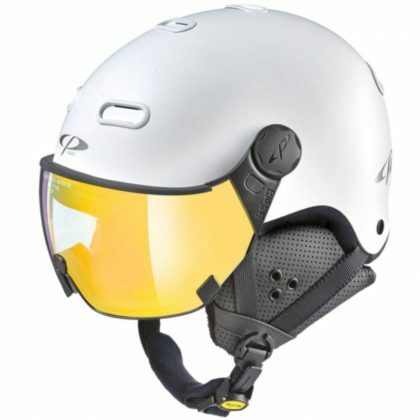 stands for soft touch finish of the outside of the visor helmet. 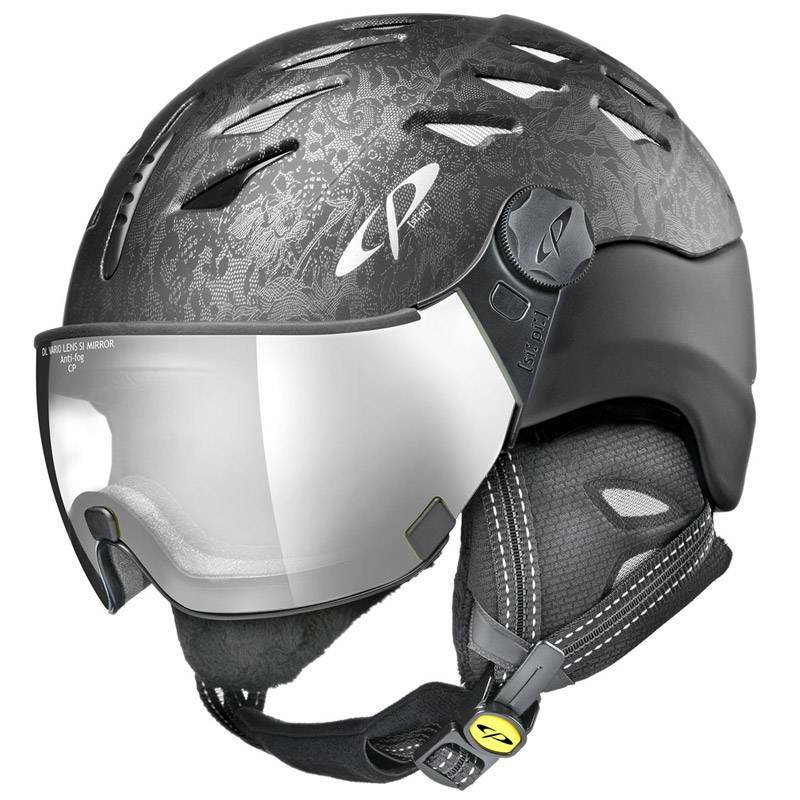 The sleek Carachillo visor ski helmet reflects the design trends of today’s skier with the minimalist treatment. Minimalism is back in fashion this season as new appointments at key major fashion houses offer a contemporary update of this 1990s trend, from pale colors to androgynous tailoring and smooth texture. 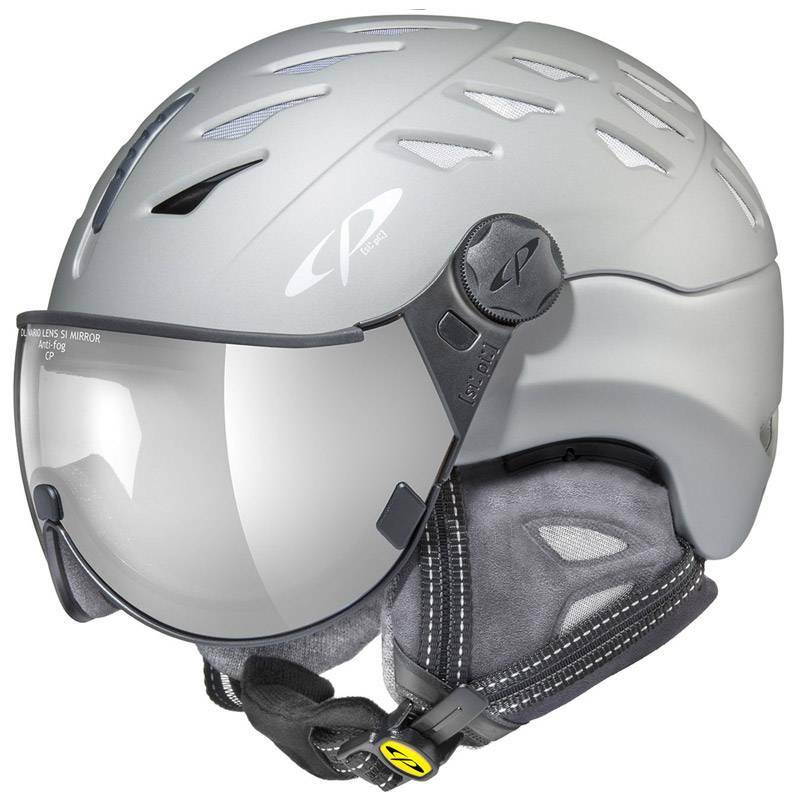 The white helmet has been extremely popular with women. 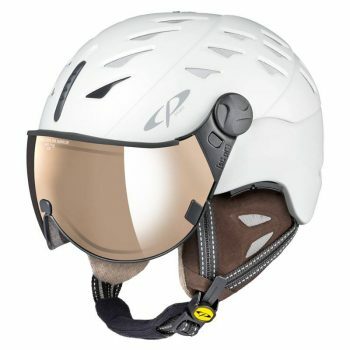 Before the Carachillo, not many ski helmet manufacturers were able to pull off a white helmet that was as elegant as this new visor ski helmet, and not that we have this one it is a hit! The CP Carachillo White visor ski helmet is available with 3 visor option, the DL Ice Mirror is a Double lens visor that offers exceptional clarity and is ideal for sunnier days. 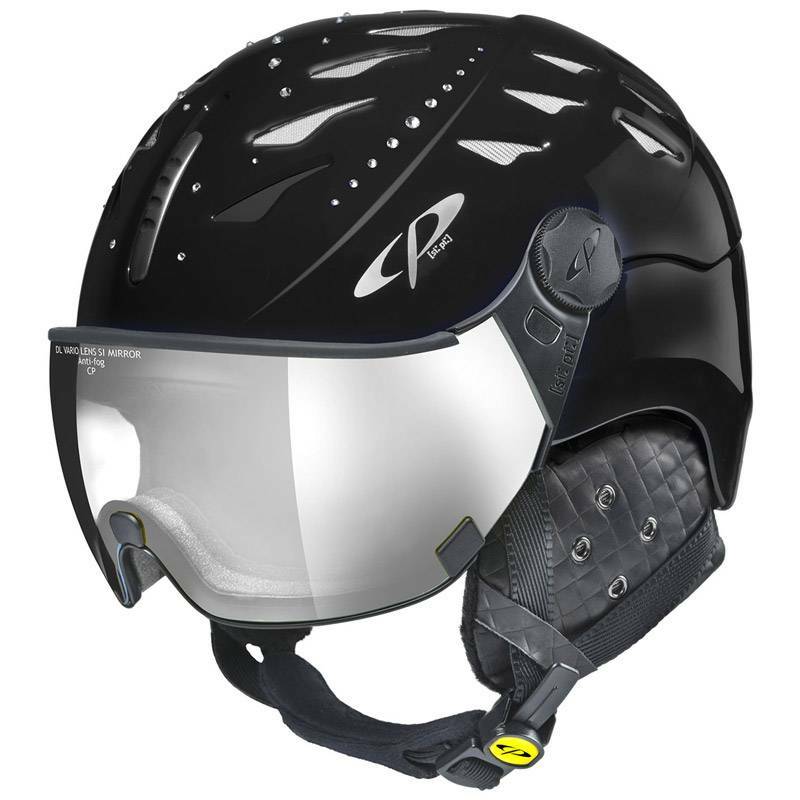 The look of this visor contrasts well against brighter ski jackets. 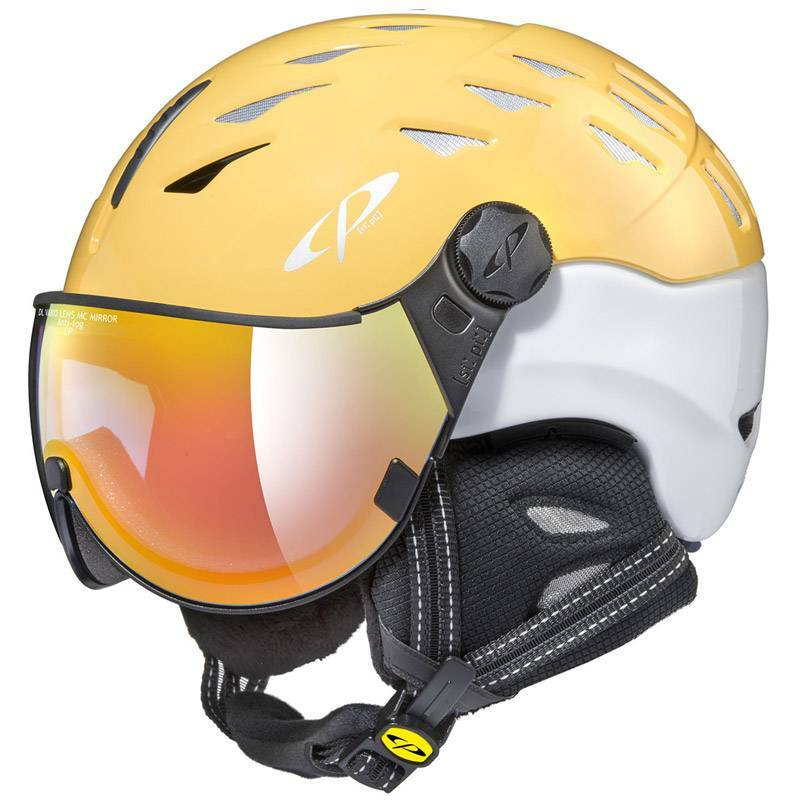 The Flash Gold Mirror lens is ideal for cloudy days or flat light, enhancing the details in the snow. This lens goes great with a dark ski jacket. 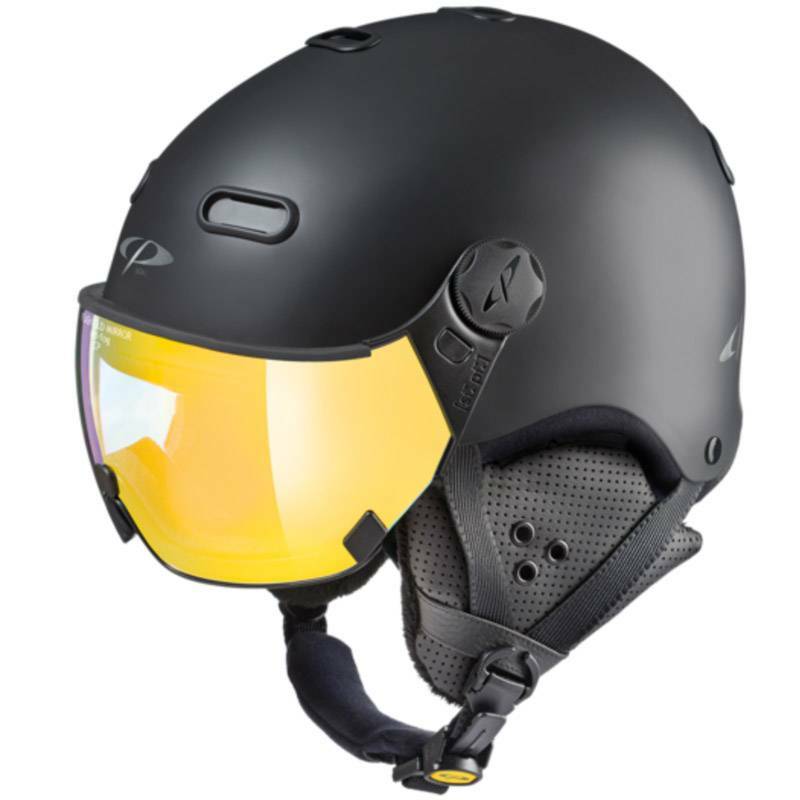 DL Ice pol vario mirror visor data: Light absorbtion:57–91%,Light transmission VLT: 9-43%,Protection level: S2-S3, 100% UV protection. 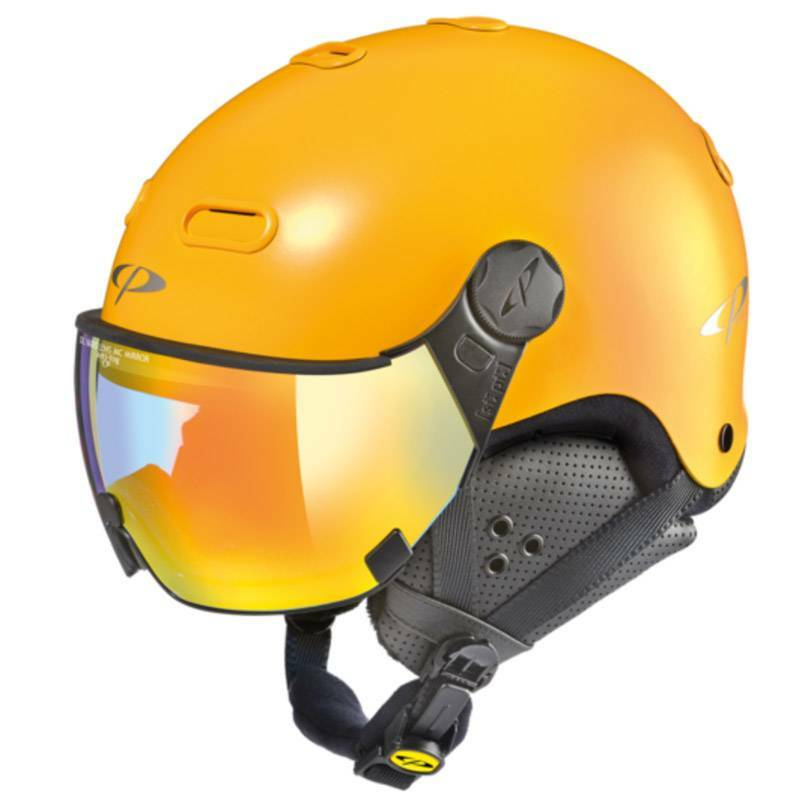 Flash Gold mirror visor data: Light absorbtion:82–92%; Light transmission VLT: 8–18%, Protection level: S3, 100% UV protection. 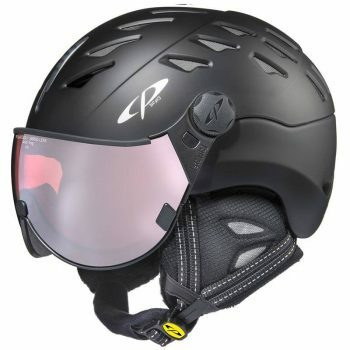 DL vario multicolor visor data: Light absorbtion:20–81%; Light transmission VLT: 9–43%, Protection level: S1-S2,100% UV protection. 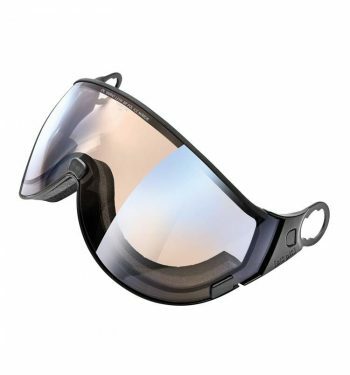 You can purchase the additional lens and swap them out to have the perfect visor for any conditions. he visor can easily be exchanged with out any tools. 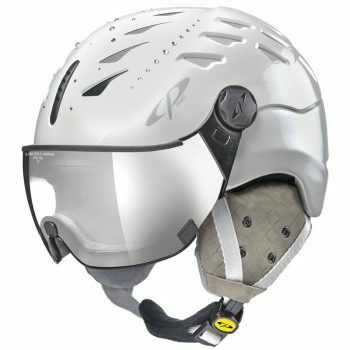 CP is the only visor helmet brand that offers an extensivecollection of visors. The different variations are: single lens visors in orange, clear with and without mirror, polarized clear vision, and DL visors vario or photochromatic in different color versions and with polarization.